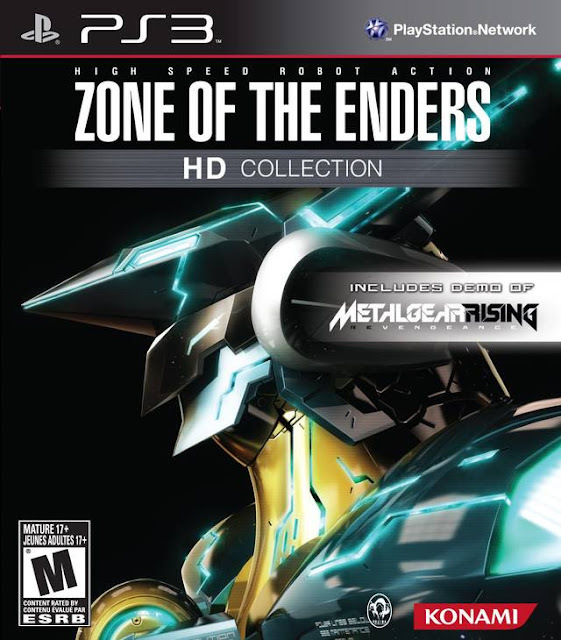 Konami has sent us a copy of their recent HD collection for the PS3, this polished classic is the Zone of the Enders series. Within the HD collection lies Zone of the Enders, Zone of the Enders: The Second Runner, and last but not least, the demo to Metal Gear Rising. 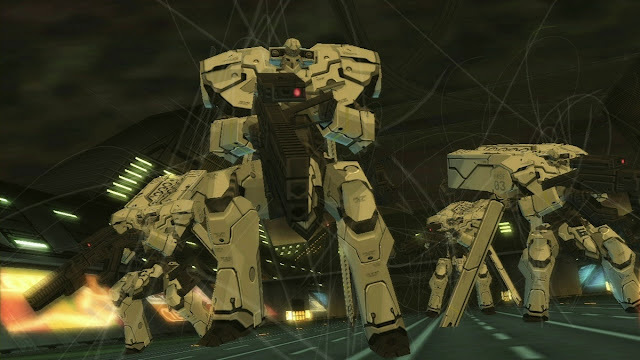 ZotE is an action series that was available on the PlayStation 2 right around a decade ago and was known for it’s flying mech combat and the anime cut scenes. 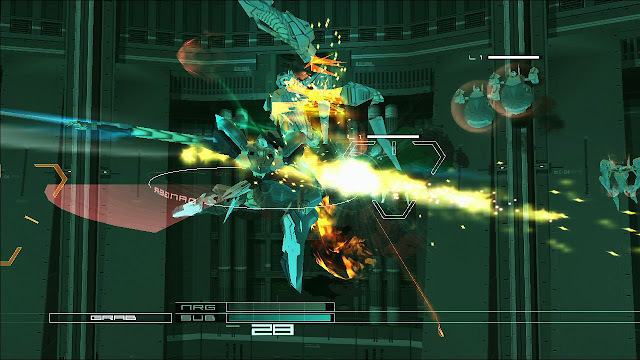 Frames, or mechs, are are the humanoid machine battle suits in which the player controls, inflicting unique short and long ranged attacks seamlessly in open air. Let’s see how it holds up a decade later and what I thought of the Reveangance demo. 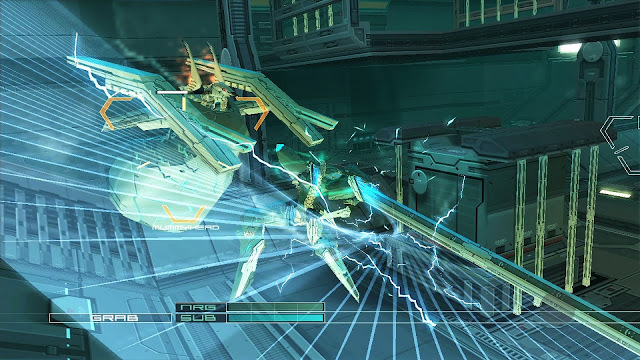 I did not play Zone of the Enders when it was originally released, I had attempted to go back and see what I had missed but it was too late, or so I thought. The HD collection looks great, the scheme of the game is a bit dark, but the characters and cutscenes were more clear than I was expecting from this polished re-release. The action is incredibly fast and smooth and the combat is technical, I mean you can get away with button mashing to a certain point, but it won’t get you far. The story is just about as fun as the combat, it is deep and reminds me of playing through a season of an old saturday morning cartoon I used to watch. The same can be said of my time spent with The 2nd Runner, but I preferred the combat in the second over the first, while enjoying the story more in the in the second. 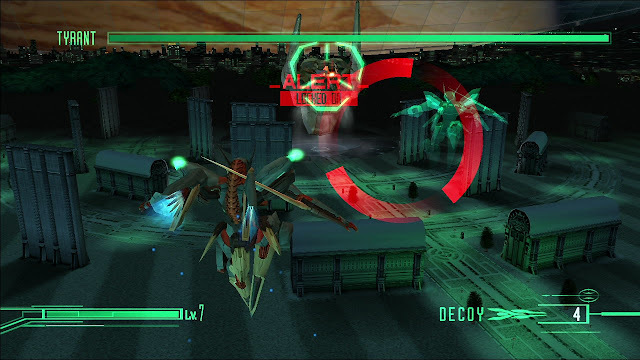 Throughout gameplay there were points in which the framerate slowed down and took a bit of time for the action to get back to normal. Though irritating at times, it didn’t take much away from the gameplay or was game breaking in any way. What did take from the gameplay at times was the camera, most of the time I was fighting with it while taking taking a beating trying to locate the culprit. Lastly, and this is my complaint about Hideo Kojima’s titles in general, are the lengthy cut scenes. Any one can skip long cut scenes to get back into action, but Mr. Kojima just had to make the story interesting so it is hard to skip, so here comes my issue...finding the right amount of time to play and knowing when to stop, thirty more minutes usually turns up being an hour and a half. I am not going to keep ignoring the elephant in the box, Metal Gear Rising, the demo is what you would expect from Platinum Games, fast, flashy, and incredibly fluid. Add that to the lead character being the badass which is Raiden and it is great. Zone of the Enders is a great way to pass the time until Reveangance’s release. Fans of the original series would definitely enjoy the restored classic and those that missed it the first time no longer have a reason not to checkout this time around, it looks better and both great games are on one disk.